Firstly, a big “thank you” to merakigeek who nominated Ubecute for the Liebster award, visit her post at (http://merakigeek.wordpress.com/2014/04/14/a-to-z-l-is-for-liebster-award). “Liebe” in German means “love” and Liebster means a “loved one”. Agreed, getting the Liebster award is not the same as being Freshly Pressed (or close). It is a however, a creative attempt at creating a strong blogger-bond and sharing love and appreciation from one blogger to another. 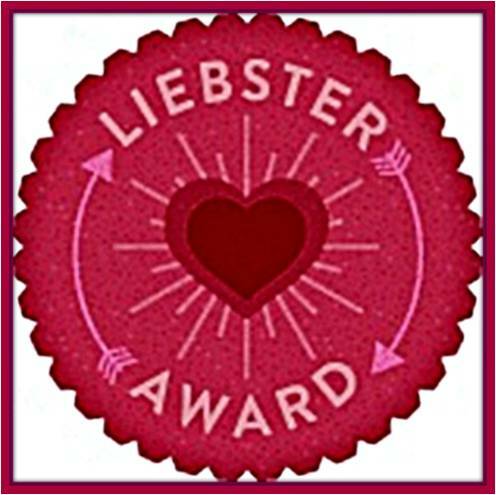 The Liebster Award is an award for newish blogs with less than 200-1000 followers given by newish bloggers. It’s a way to recognize other newish blogs in the community and, in turn, keep spreading the love. Answer the 5 – 10 questions given to you. Nominate 5-11 other blogs with less than 200-1000 followers. Post 5-10 questions for your nominees to answer. Tag your nominees & post a comment on their blog to let them know you nominated them. Dear bloggers I am excited to be nominating you for the Liebster award since you continue to inspire me with the level of quality work you produce consistently. I am taking this as an opportunity to show you that you are appreciated for it. With that said, I fully respect your entitlement not to accept the award, (if you chose not). If you don’t wish to accept, for any reason, simply do so by ignoring, I will not take it personally in any way. If you do accept just follow the rules above and share the love :). Also please know that if your name is not here, (and you would have liked to be nominated) then it does not mean I don’t appreciate your blog, it simply means I am committed to making humanly oversights. In short, My Bad! Continue your good work and press-on to pursuing your creative interests! Since this is all about getting to know each other better, here are some questions I am presenting to you, along with my own answers. I love the smell of freshly cut fruits like mangos, oranges and grapefruits. But I also love the smell of the “oh-so-delicious” deep fried foods such as “pakoras” (deep fried fritters), baked foods (cakes, cookies, pizzas) as well as freshly brewed coffee and masala chai (spiced tea). I pretty much love all vegetarian food and the cornucopia of flavors and smells it offers. Name one word to describe you. What song is stuck in your head right now (or what was the last song that was stuck in your head)? When was the last time you were nervous? Why? I guess I feel nervous almost every time I press the “publish” button. I have always been a very private person and to share my own deepest thoughts as well as poetry on the World Wide Web has been a daunting but rewarding exercise. Poems are very personal, and it is a scary thought, revealing your emotions to the world, leaving it open to interpretation and worse “apathetic abandon”. Fortunately, I found that wordpress has a very positive and constructive community of bloggers. High five everyone! What top 3 characteristics would your ideal boss have? Ideally, I would love to be my own boss. But I must admit I have been very fortunate to have worked with great bosses and colleagues. Cheers to them all! What’s something you hate doing? Why? I hate waking up early on my weekends. Actually, I hate waking up early on almost any day. Because I am lazy like that. Which store would you choose for a shopping spree? I rarely go shopping and do most of mine online. The selection is so much better and it beats having to drive in traffic and finding a parking. If you had to change your username/url to something completely not yourself, what would it be? How do you know when something/someone is totally right for you? Follow your intuition, it is never wrong. 10. If you had superpowers what would you want them to be? I would love to visit the minds of artists, I love and admire, such as Williams Wordsworth, W. B. Yeats, Emily Dickinson, Emily Bronte, and Fyodor Dostoyevsky especially when they were thinking about writing their famous works. What a great experience it would be visiting the creative minds of such artistic geniuses, if admittedly an overwhelming one! Wow! Thank you so much for the nomination! I feel really honored! I’m working on my post of answers to the questions right now. Thanks again! You totally deserve it, Floral Bunny. Please don’t stress about the award, do it slowly over a week or more. There is no urgency. It should be fun. Oh it was definitely fun! Thanks again! Congratulations! Your blog rocks! Full of inspiration. Thanks for sharing this award. Truly an honor. Have a wonderful day! Thank you for the nomination!! I really appreciate it. Sending you so much love!! Hey love. Wanted to apologize for writing the name of your blog wrong on the post. I thought it was all one word. I’ve edited it so that it’s correct now. Sending you love for your day.